This is what Nancy from Minnesota told me yesterday after she pulled this NUTMEG out of her pocket and told me it was so much better than a “worry stone”. She has been vacationing on Sanibel and Captiva for 20 years with the same foursome… she and her husband Dayton and their best shelling buddies Nancy and Gary. Then Dayton pulled out a COLORFUL MOON SNAIL from his pocket. This is Sandy’s LETTERED OLIVE from her pocket. So smooth and shiny! Look at all that CANDY! I’m not sure Gary carries all of these orange beauties in his pocket all the time but those candy corn horsie conchs and that true tulip are worth showing off ! PS- How do you think that I knew they were crazy shellers? LOL They say that they all suffer from “shell sickness”. Me too! If you haven’t signed up yet for the GIVE AWAY enter now! To Enter the GiveAway -Click Here! I love that idea! Maybe it would make me less beach-sick when I’m away if I carried a shell in my pocket! I need one of those shirts! Where did you find them? I still have a shell in my pocket and I’ve been home for 4 days now. Maybe I’ll just keep it there….. LOVE, LOVE, LOVE the tshirts the ladies are wearing. Can you find them on the island?? Forgot to mention that my shell is the moon snail shell I found this year! I was actually thinking about the “worry stone” this morning. I use the lettered olive as well. I didn’t find any on my last trip to Sanibel (stayed at Ocean’s Reach and did most of my shelling in front of the complex) Is there a better spot for the olives? omg pam i have a militant sheller shirt too!! i wore mine this summer at the beach!! I don’t have shells in my pocket but I do keep a few on the dashboard of my car. Looking at them makes me feel good while doing errands, shuttling kids around and fighting traffic. I have shells everywhere,pants pockets in my tote bags,when I look for change in my bag I find shells!! 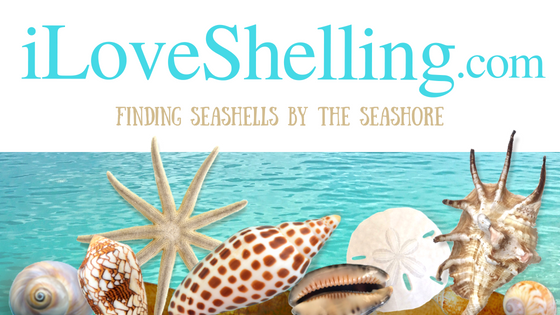 So glad there are others who Love shells as much as I do!! To keep the beach with me all the time I make shell necklaces for fun and wear them. would love to send you a pic !! I put shells in my pants too. It’s totally normal! I’ve had good luck at Blind Pass Captiva and the Sanibel side (Turner Beach). Good luck! hmmm. I don’t recall where I’ve seen them in stores…. sorry! The snail looks like a gaudy nautica. There are lots of lettered olives at the north part of Honeymoon Island State Park. ( At low tide of course) My husband supprised me with a pass good for a year. Now I just have to find time to go! i keep mine in my car and i keep the sand that my feet carried off the beach! it is still on the mats of my car from my late spring visit. it warms my heart to see it and think of sanibel/captiva especially when i am wearing a coat like i had to this morning!!!! oh sanibel…..how i miss you. That is one of the prettiest Nutmeg shells that I have seen!!! I so enjoyed seeing it!!! Thanks!! Yep, I can always hear my shells banging around the spin cycle when I forget to clean my pockets out before I do laundry. Those t-shirts are too funny. I googled this most exellent shirt and it gave me numerous sources for the shirt and many different prices. HIGH TIMES AT LOW TIDE! LOVE the t-shirt. Olives are my favs – I just love them! I call them pocket shells and reserve my pockets for only the smallest and prettiest. The rest go into bags. I know I have a good day when there are at least two shells in each pocket.